As we either are entering or have entered and left our 20’s that is the time when we are really starting to step out on our own and make money. 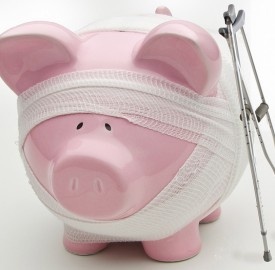 Now, if only we had all been forewarned to avoid these 4 Financial Mistakes. Head on over to The Daily Muse and read more on these mistakes then share with the 20 somethings in your life! My husband and I have been following the Dave Ramsey program for almost 3 years now. We’ve paid off over $20,000 in debt so far. We have a ways to go, but without help from Financial Peace, I never would have believed we would have made it this far. Great tips. I think they should teach personal finance in every high school in America, but unfortunately that doesn’t happen. Often these mistakes are made without people even realizing it. I agree with you, people should be made aware of Financial Responsibilities in as early as high school so that young people may learn how to deal with their expenses and face the future more able. Personal finance is taken for granted and often overlooked as “important.” This is great information. The past couple of years my husband and I have really had to take the bull by the horns so to speak so that our finances wouldn’t spiral any further out of control. We are now back on track and credit card free for three years now. We are a “cash only” family (including debit cards). all as a lot of people still consider them useful in case of emergency. term financial help and they needs to be payback after specified amount of time.